The Tokyo Metropolitan Government submitted the necessary documents Wednesday to the fisheries ministry that will enable the Toyosu wholesale food market to open by Oct. 11 as scheduled. Tokyo Gov. Yuriko Koike said Tuesday the new Toyosu site is safe to open following the completion of additional anti-contamination measures. 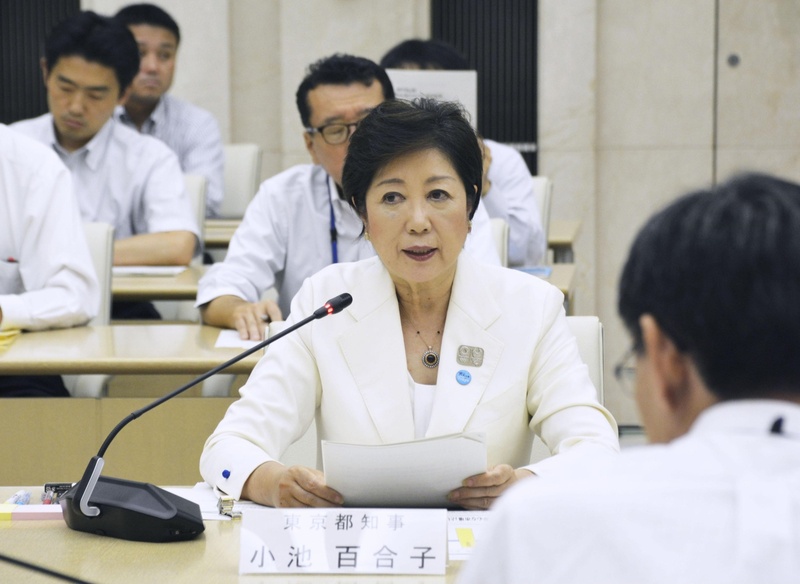 “The conditions have been met for the safe opening of the market,” Koike told a meeting of senior metropolitan government officials. After the Tuesday meeting, Koike told reporters the market will be monitored to ensure it remains safe and that the results will be made public. 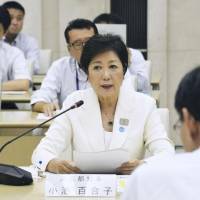 In August 2016, after being elected governor, Koike made the decision to postpone moving the aging Tsukiji food wholesale market in Tokyo’s Chuo Ward to the Toyosu site in neighboring Koto Ward, citing concerns over soil contamination at the relocation site. The move was originally scheduled to take place in November of that year. The Toyosu site had previously been owned by Tokyo Gas Co. and was highly polluted. An expert panel devised a plan to deal with the contamination, proposing in July 2008 that all of the site’s soil be replaced and a thick layer of clean soil be inserted under the main buildings. It emerged later, however, that the measures were not carried out at some of the market’s key facilities. In June 2017, a panel of experts called on the metropolitan government to take additional soil contamination control measures. The recommended measures were completed earlier this month, with empty underground spaces that were supposed to be filled with clean soil being covered with concrete. On Monday, the panel concluded that the safety of the Toyosu market has been secured thanks to the additional anti-contamination measures. Prior to Tuesday’s meeting, Koike met with members of a Tsukiji market dealers association who had expressed concerns over the new Toyosu market.